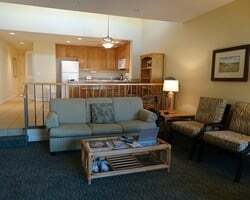 Escape to Oceanside, California with an incredible vacation at Aquamarine Villas. Save thousands on lavish accommodations when you buy or rent a timeshare from SellMyTimeshareNow.com's impressive inventory of by-owner advertised properties. What’s My Aquamarine Villas Timeshare Worth? This southern California hot spot makes a great vacation destination year-round. Find stunning beaches, picturesque golf courses, unique boutiques, fine dining, fishing, boating, and so much more. 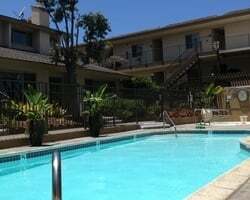 Ideal for families, you'll also be close to San Diego Wild Animal Park, Sea World, and Disneyland. Aquamarine Villas also offers wonderful activities and amenities to add to your stay including ice cream socials, a swimming pool, hot tub, exercise room, and picnic area with gas grills. And with the beach just a block away, you'll have ample opportunities to enjoy the sun and surf under the glistening California sunshine. Large one- and two-bedroom timeshare suites are available to stay in whether you rent or buy a Aquamarine Villas Oceanside timeshare. Sleeping four to six guests comfortably, these units are perfectly suited for family vacations. 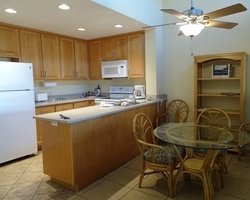 Each offers a full kitchen, private bedroom(s), living and dining area, and full bathroom. All these features will allow you to feel comfortable and right at home while enjoying all that Aquamarine Villas and Oceanside have to offer. Start planning your retreat to Aquamarine Villas Oceanside CA today by completing the form on the right side of the page or calling us at 1-877-815-4227. We'll assist you in finding the ideal timeshare resale or rental accommodations for your needs and your budget. Vacationing every year in Oceanside, California may sound expensive, but it doesn't have to be! Buying an Aquamarine Villas timeshare on the resale market can save you thousands of dollars on a lifetime of incredible vacations. This is because here, owners are advertising their individual timeshares based on each property's accurate market value. Whereas when you buy from the resort, the developer tacks on a hefty sales commission plus taxes and fees that significantly drive up the cost. This price difference can save you as much as 70% off the same ownership! Our inventory of Aquamarine Villas resales features deeded fixed and floating timeshare weeks with annual usage. These options allow you to choose how you want to structure your yearly getaways. With a fixed week, you never have to worry about reserving your trip. You'll always have your preferred week locked down and ready for you. A floating week gives you a bit more flexibility with the option to reserve your week within your ownership season, giving you multiple options to choose from. Aquamarine Villas is part of the desirable Vacation Resorts International (VRI) brand. As part of this resort network, Aquamarine Villas timeshare owners have a great variety of member perks, including the flexibility to internally exchange their timeshare within VRI's large network of resorts, with properties located in top destinations across the United States and even some in Mexico. This program, known as VRI*ety™ exchange, is available to resale owners as well as retail owners because VRI has no resale restrictions. This means, you can save thousands of dollars purchasing your ownership on the secondary market and still enjoy all of the incredible ownership benefits! Additional perks include cruise vacation opportunities, discounts on extra vacation times, split weeks, and a guest program. In addition to the wonderful exchange options Aquamarine Villas timeshare owners have within the VRI network, Aquamarine Villas is also affiliated with the world's leading external exchange company, RCI. As an affiliated resort, owners at this property can choose to purchase an annual RCI membership to gain access to their comprehensive services. RCI offers a vast network of thousands of vacation ownership affiliates located at top resorts in the best vacation destinations all over the world. 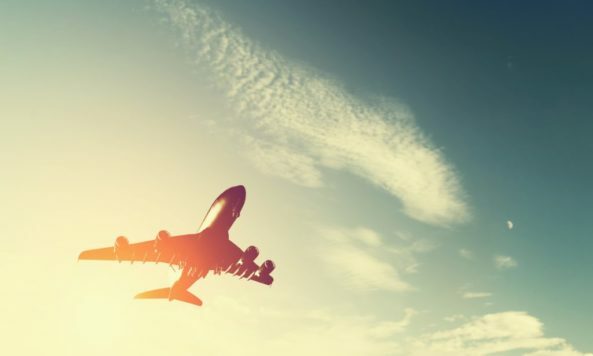 As an RCI member, you have virtually endless travel options to choose from each and every year. Once you are a member, simply deposit your timeshare week with RCI and choose another vacation destination from their available inventory. To make it even easier, Aquamarine Villas is an RCI Gold Crown rated resort, giving owners the highest possible trading power within RCI's extensive network of resorts. Located just one block from the beach, Aquamarine Villas is the perfect California escape that the whole family will love. 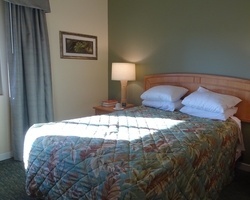 The resort offers plenty of great features to add fun and relaxation to your stay. On-site you'll find an outdoor swimming pool, whirlpool hot tub, game room, free movie rentals, board games, and picnic area with gas barbecues for your grilling pleasure. Aquamarine Villas also offers scheduled daily activities such as bingo, ice cream socials, root beer floats, and continental breakfasts. Southern California has so much to do and explore, starting with the picturesque white sandy beaches ideal for surfing, sunbathing, swimming, and more. There's also the Oceanside pier, known for fishing and a great place to walk along and take in the sunsets. There's also plenty of restaurants and shopping boutiques to check out. Other fun local activities include golfing, fishing, kayaking, and whale watching. Los Angeles and San Deigo are not far away, making it easy to take a day trip to these vibrant destinations. Other famous attractions include the San Diego Zoo, Disneyland, Knotts Berry Farm, Oceanside Museums of Art, and Wave Waterpark. Already Own at Aquamarine Villas?